If you were into things like Lego or maybe you had an Erector Set…this is right up your alley! 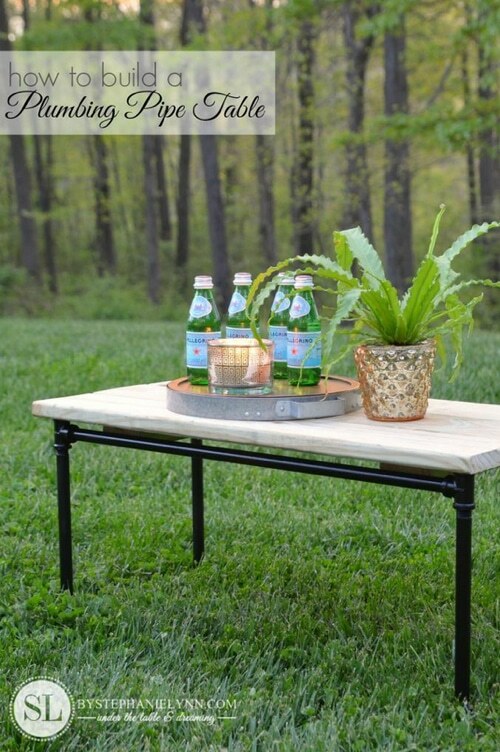 Actually, you’ll find this durable outdoor furniture piece quite easy to build. And, you can get creative with the types of plumber’s pipe that you select. There’s no end to the unique combinations and styles you can use. Plus, why not add a nice varnished wood to the top for that touch of elegance?